This years “Today Throws A Wedding” couple will be exchanging their vows with celebrity jewelry designer Neil Lane rings. The people have spoken! Melissa McMillin and Jeremy Gebhardt will be forever linked with the famous bling. More than 150,000 viewers cast their votes, and chose the wedding set. Luckily they had quite some beauties to choose from. Wednesday morning Today viewers watched as the rings that the couple will wear forever were reveled. Gebhardt looked on from Afghanistan where he is deployed as a senior airman in the U.S. Air Force as his soon to be wife tried on the band. McMillin said that although she would have been happy with any of the rings because they were all so beautiful, she really was hoping for the Neil Lane one, so lucky for her the people were on her side. Lane’s rings are won by some of the most beautiful women in the world, Charlize Theron, Angelina Jolie and diamond obsessed Elizabeth Taylor, just to name a few. This was a very special Valentine’s Day for Josh Li and Ya Ting as they exchanged vows at the first ever wedding ceremony held at an Apple Store. The ceremony occurred at New York’s famous Fifth Avenue Apple Store, nto far from Rockefeller Center. The couple’s wedding rings were carried on a first generation iPod. 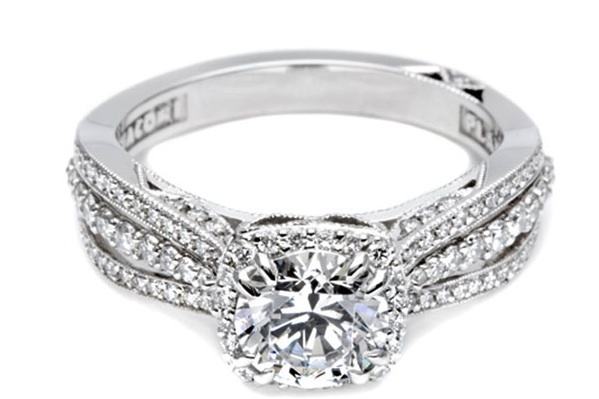 No news yet on what brand the bride’s wedding ring was, but hopefully it was an elegant Tacori or Scott Kay selection. Even the elusive, real Steve Jobs participated in the ceremony—from a distance and indirectly. His words were incorporated into the sermon: “You have to trust in something: your gut, destiny, life, karma, whatever. This approach has never let me down, and it has made all the difference in my life.” Soon after that, the couple exchanged rings and said “iDo”. Tacori announced today the launch of Tacori Concierge, which is an exclusive new service designed to connect clients directly with Tacori’s headquarters. Tacori Concierge is a personal, one on one consultation service designed to help you feel more confident when making engagement ring or wedding band purchases. 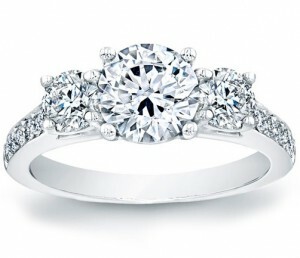 For twenty-five dollars, which is fully redeemable toward a Tacori purchase at an authorized Tacori retailer, like Since 1910, you can spend up to one full hour speaking directly with a Tacori certified expert Concierge about Tacori engagement rings, wedding rings, men’s rings, or any other item Tacori offers. 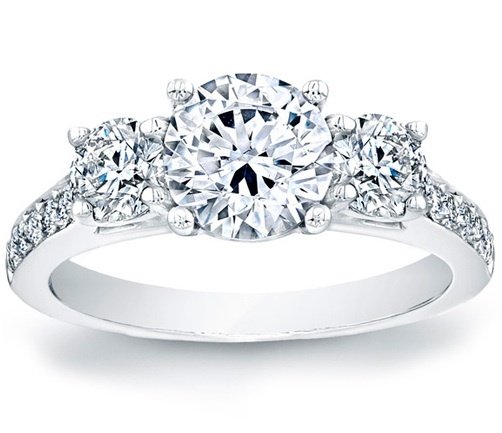 Tacori Concierge is dedicated to answering all your questions about shopping for engagement rings, how to custom design a unique engagement ring, and can even help select the perfect diamond. Tacori designs have combined classic elegance with modern inspiration, creating some of the world’s most exquisite jewelry for four decades. All Tacori fine jewelry pieces are handcrafted in California.